Stand S90, KBB 2018, 4th-7th March at the NEC Birmingham. 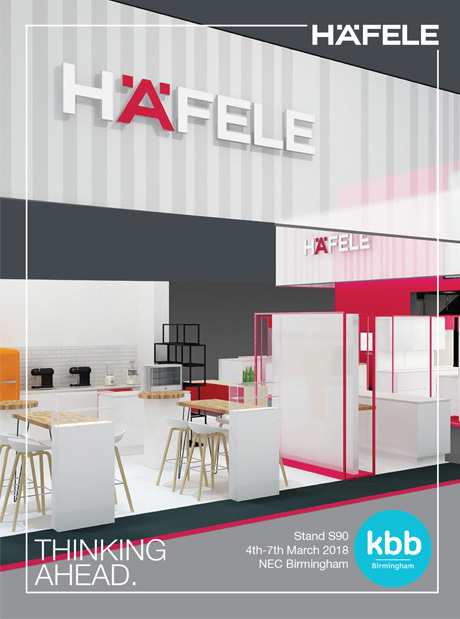 We are only weeks away from the UK’s largest kitchen, bedroom and bathroom exhibition, KBB 2018, and this year, Häfele UK brings you it’s largest stand to date! The two-storey stand will see the latest innovations in kitchen functionality and design, live product demonstrations, an interactive Loox lighting area and provide the opportunity to speak directly to our expert team and partners – to name just a few stand highlights. At Häfele, we truly believe that that every element of furniture design should be built for the way we live now, and for the way we’ll live in years to come. This is our ‘Thinking Ahead’ ethos and is a concept that needs to be experienced, which is why we’ve made sure that you can do just that on our stand this year. Visit our stand for the latest innovations that will help both you and your customer to begin Thinking Ahead. 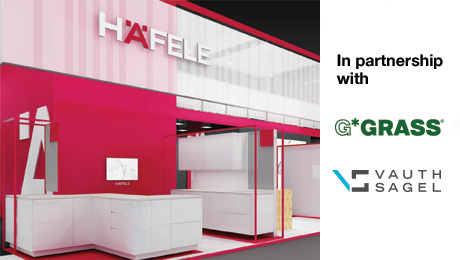 We’ve partnered with innovative Kitchen Accessories manufacturer Vauth Sagel, and Movement Systems Specialist, GRASS, to put great product front of stage, allowing visitors to experience the latest innovations to the Häfele product range. The Vauth Sagel Cornerstone Maxx is a must-see this year, in a stunning new lava grey finish and planero drawer design – showcasing high quality design and functionality together in unison. Offering a 25 year warranty on all of their systems, GRASS bring peace of mind that lasts as long as your craftsmanship. Don’t miss out on the new anthracite designs from GRASS, as well as Nova Pro Scala - the best-selling, award winning drawer box. 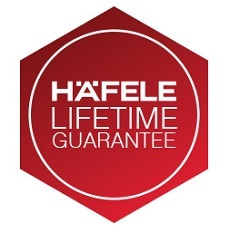 In January, we launched the Häfele Lifetime Guarantee across our own brand product ranges. This is just one example of how we’re providing our customers with services on our products that embody the Thinking Ahead philosophy… KBB 2018 will bring our own brand ranges to Birmingham, for you to experience. 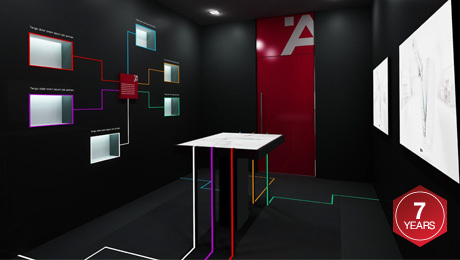 Step into our interactive Loox lighting room to experience the simple technology and stunning effect of Loox lighting for yourself. The Loox lighting brand combines Häfele’s experience as a manufacturer, with the forward-thinking approach that German engineering is renowned for. At its core is an incredibly simple Plug and Play premise, enabling creative lighting solutions without the need for an electrician, and our entire Loox lighting range is supported by a 7-year Lifetime Guarantee. Don’t miss out on the winner of the Best of the Best Award at Interzum, 2017! 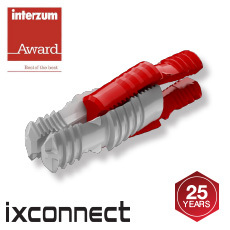 Our U-Dowel SC 8/25 is an innovative, invisible and tool-less spreading connector, and will be on display with the rest of the innovative Ixconnect range, which is supported by a 25 year warranty – and don’t forget, our experts will be on hand to answer any of your questions. 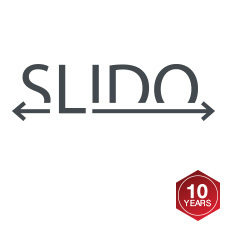 Our Slido range offers flexibility and versatility to your projects, with a range of sliding and folding options available, all supported by a 10 year guarantee. The Slido range provides solutions suitable for commercial and domestic use across cabinetry and internal door applications. KBB 2018 is your opportunity to see a selection of our systems. Don’t miss out on our statement lighting display which showcases our new and exciting range of pendant lighting, the latest extension to our already comprehensive lighting range. 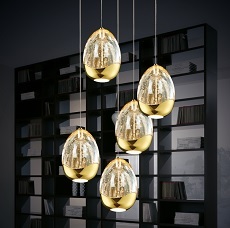 Pendant lighting provides a statement feature in a room setting, as well as a highly functional lighting solution that can easily be manipulated to create atmosphere. Smeg are a hugely desirable brand well-known for their classic Victoria range cookers and iconic fridges, but offer so much more. The new Portofino range is a must-see this year, showcasing contemporary and colourful cookers and hoods in Smeg’s most technological advanced range yet. Key elements of the Thinking Ahead philosophy are efficiency and product life – both of which are at the heart of the design of all GROHE taps. GROHE offers a warranty on all of their taps, leaving you with absolute peace of mind that the products your purchase are built to last. We look forward to seeing you on stand S90! Register for tickets for KBB 2018 here.